A £29M scheme that will improve Lincoln’s transport infrastructure and modernise its city centre will be constructed predominantly with structural steelwork. 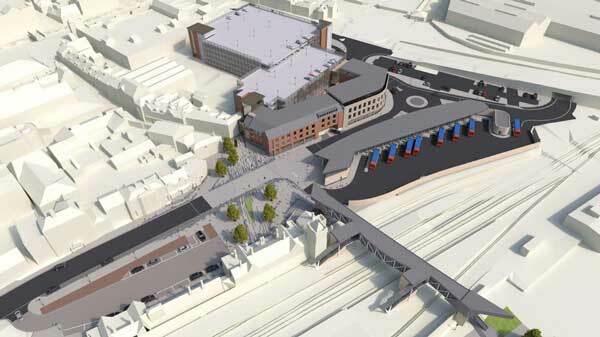 The Lincoln transport hub project will see main contractor Willmott Dixon construct a new bus station, improve the current train station, create a dual-purpose footbridge to link St Mary’s Street and Tentercroft Street and deliver a 1,000 space multi-storey car park. It is expected that the steel-framed bus station, which will replace an outdated facility, will start on site early next year, around the same time as the steel composite footbridge is due to be erected. The steel-framed car park will require approximately 1,200 of steel and will form one of the final pieces of the scheme with work due to begin in 2017. All of the steelwork packages for the Lincoln hub are currently out to tender.